It may seem impossible to compete against larger players in your industry when you are feeling overwhelmed simply trying to keep up with your business needs. The ingredient that can help level the playing field is called effectiveness. How can you build it? Many ways actually. In this post we will share a list 6 extremely effective online tools that we use which can help you optimize your approach to online marketing. We use Evernote for team collaboration, prioritization and as an integral part of our content planning. At first glance Evernote may seem like an ordinary note taking tool, in actuality however, it serves a much greater purpose. When properly utilized this simple tool can significantly increase your ability to plan and prioritize daily tasks. Connected members can create and keep track of a “to-do” list including important, upcoming, and specific assigned daily tasks. 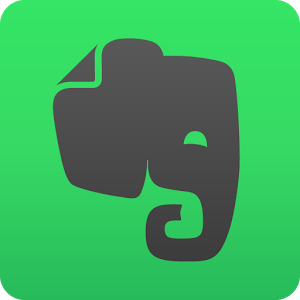 Evernote allows real time editing, collaboration and connected members will have the ability to stay up to date with each other’s ideas, findings, insights, and assigned tasks. When it comes to running projects, we need a strong project management tool and Teamwork fits well for us. Teamwork is an extremely competent, online project management tool, aiming to aid your company’s collaborative organization. 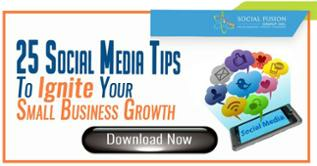 Through this tool you will be able to work on a variety of projects (depending on the size of your account). Within each project you are provided with most of the tools one would need to manage a collaborative project - timelines, tasks, assignments, file repository, notes, interactive communication and much more. To help facilitate the work flow, Teamwork allows users to effectively track and time the progress of multiple tasks at once, while also providing them with reminders regarding a specified project. Another reason we love this tool so much is because everything can be managed from one location. You will be able to monitor and manage what your whole team is working on as all information is centrally gathered, organized, and based on one common calendar used to synchronize all members. Once your daily task management and time allocation have been successfully optimized you will need a central “hub” to manage all your inbound marketing activities. Hubspot is a tool we've been using for many years while being a partner of theirs as well. HubSpot is an ideal tool, providing you with a comprehensive dashboard through which you will be able to monitor campaign and blog analytics, and appropriately optimize the content you will be uploading to your website, blog, and social pages. An effective content calendar however would not be complete without appropriate distribution planning. Tying in the concept of time management one more time, HubSpot can help you create a schedule for your content to be automatically distributed through your website and even your social pages. HubSpot also offers a plethora of tools you can use in order to track and analyze your lead generation and customer conversion activities. 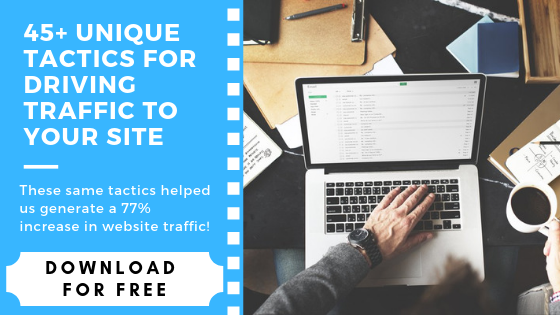 It essentially allows you to gain an understanding on how visitors are arriving at your site, what they are doing, and how long they stay providing you with insight regarding potential landing page and CTA optimization. Further, once leads have been acquired, you will be offered various tools that will enable you to carry out a nurturing process. All in all, HubSpot is an extremely powerful and inclusive online marketing tool which will allow you to effectively and efficiently create and monitor what is happening in every stage of your Marketing Funnel. SEMRush is the perfect complement for Hubspot as it offers a much deeper (and different) SEO perspective. This essentially translates to you being able to gather greater keyword insight within your industry (or regarding a topic of interest), monitor and manage your website’s SEO, and analyze current progress of paid advertising operations (or create strategies for future paid marketing activities). This tool will also provide you the ability to perform extensive market and competitive analyses. As you begin building your own strategic operations you will be able to monitor what your competitors are doing and leverage the information by either “borrowing” their strategy, avoiding making the same mistakes, or even beat them to a certain goal. SEMRush also offers users unique applications such as “Keyword Magic” which will significantly enhance the efficiency and effectiveness of brainstorming operations. Social statistics applications have also made an appearance recently allowing you to monitor the engagement on your social sites versus that of competitors. 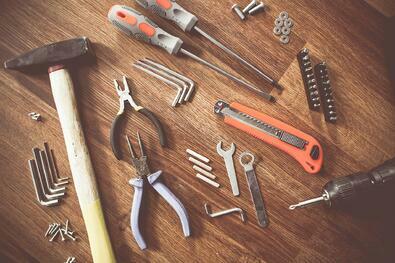 For us, this tool is like the Swiss Army Knife of online marketing. For those of us that want deeper and more actionable insight (as we do) when it comes to content marketing, Buzzsumo provides it in bunches. Acting as another great supplementary tool to HubSpot, Buzzsumo is ideal for gathering insight on content analytics. If you ever find yourself struggling to come up with a fresh idea for content creation Buzzsumo can help you by identifying important or trending topics significantly reducing time needed for brainstorming and research. This tool can also help you optimize your distribution schedule by locating the most appropriate platforms (social pages), as well as the ideal time during the day to post content. Finally, Buzzsumo is ideal for spotting influencers within your industry eliminating the need for copious manual research. At first glance, this tool may seem quite simplistic but it offers significant value and will greatly increase the efficiency of your operations. The final tool on our list is Copyscape. In essence it may just be a plagiarism checker but remember if used correctly all these tools can greatly contribute to enhancing your company’s efficiency and effectiveness. Copyscape can be especially useful for editorial purposes when an employee has been assigned to repurpose older content. Instead of manually comparing the new document or post to the original, or to the source material, Copyscape will automatically notify you for what needs to be changed. As a side note, this tool can also notify you if your content has been copied by someone else (perhaps a competitor) online. As we mentioned in the beginning of this article, do not let yourself or your team get overwhelmed by the multitude of tasks on a daily basis. Train yourselves to think and act efficiently. The tools highlighted in our list will undoubtedly help you optimize your business operations but remember, using one or two tools on their own will not yield desired results. Just as you and your team, each tool must be harmonically used together to attain the greatest amount of efficiency and effectiveness, and to ultimately achieve success.